Oct. 2 (BusinessDesk) - New Zealand and Australia may face pressure to pull out of talks for a new trade agreement involving China, India and the Association of South East Asian Nations, a group of business leaders and academics were told on a recent visit to China. Officials there are "very concerned" to conclude the Regional Comprehensive Economic Partnership, said Professor Robert Scollay, who was among six New Zealanders who recently met Chinese officials during an Asia-New Zealand Foundation trip. The group, led by former National Party Cabinet Minister John Luxton, were in China for a series of a series of ’track two’ discussions - a diplomatic term used to describe high level engagements that fall short of official government visits. "There was a sotto voce comment made in one meeting that they were either hearing or had assessed that New Zealand was one of the sticking points in concluding the RCEP," said Scollay, an associate professor of economics at The University of Auckland and director at the APEC Study Centre. "There was some suggestion, or they had heard, that New Zealand, and perhaps Australia, would be politely invited to exit the RCEP negotiations in the interests of concluding them. "We heard that more than once." Australia and New Zealand have insisted on so-called ’high-quality’ trade agreements that would give limited concessions to the special interests of participating nations. Among those least willing to negotiate such an agreement has been India, which remains highly protectionist and has done little to open its economy to global trade and has entered few free trade agreements as a result. 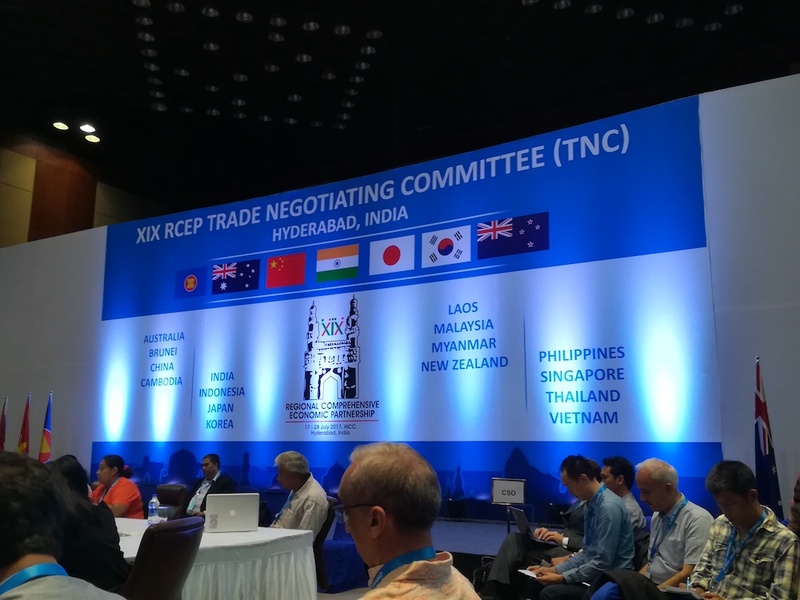 The next round of negotiations involving the 16 members of the RCEP grouping is scheduled for a week in Auckland from Oct. 17. Notes on the Ministry of Foreign Affairs and Trade website from the negotiations held in Tokyo in July emphasised New Zealand’s insistence that the RCEP agreement "must be consistent with the standards set out in the Guiding Principles, for a modern, comprehensive, high-quality and mutually beneficial economic partnership, while noting that some parts of the negotiation had considerable work in order to meet these standards". RCEP participants include China, India, and the ASEAN grouping of South-East Asian nations, as well as Japan and Korea. Negotiations have been underway since 2012, with RCEP at times touted as an alternative to the trade agreement that nearly died and then morphed into the Comprehensive and Progressive Trans-Pacific Partnership. The CPTPP involves 11 Asian, Australasian and American economies but excludes China. It was to have included the United States before the withdrawal by President Donald Trump early last year. While China might eventually explore membership of the CPTPP, "one of their reservations would be that if they joined the CPTPP that could upset ASEAN" if RCEP had not been concluded, Scollay said at a briefing in Wellington today. Several members of the group described frustration and bewilderment among Chinese watchers of US policy-making. They were at a loss to know how to engage both the anti-China orientation of the Trump administration and a perceived growing hostility among US think-tanks and civil society actors to Chinese interests since Trump’s election. The briefing heard that one result of this new environment was increased Chinese support for the rules-based, global order created by the World Trade Organisation.